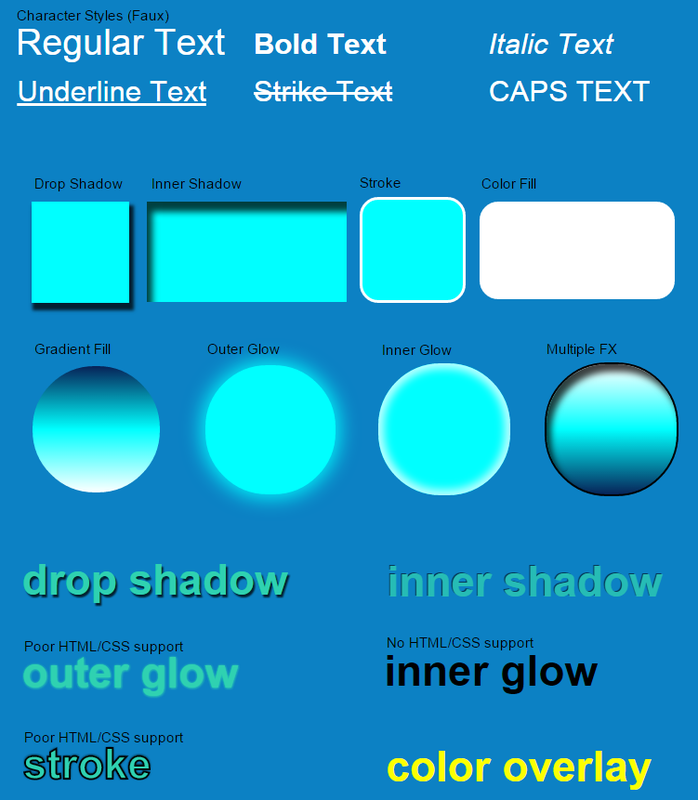 This PSD is an example of a responsive HTML and CSS webpage. This PSD will demo CSS media queries for 3 target screens with along with responsive assets generated from a single file. IMPORTANT: Responsive webpages are considered an advanced output, we strongly recommend you read our online guide to learn how to create responsive webpages - learn more. 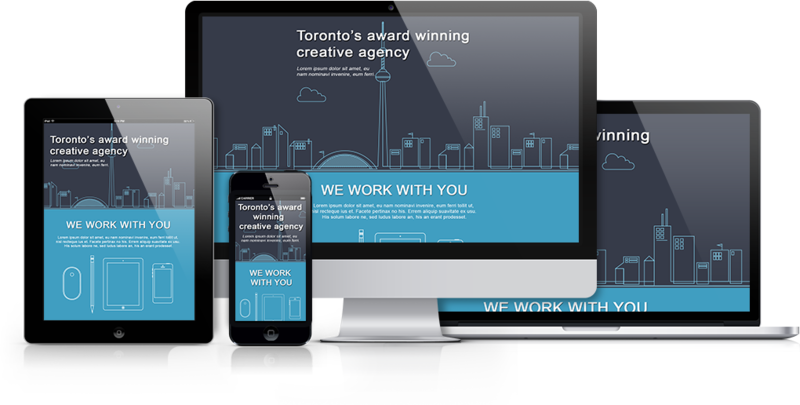 This PSD uses 3 target screens to create a responsive design to match a desktop, tablet and mobile layout. 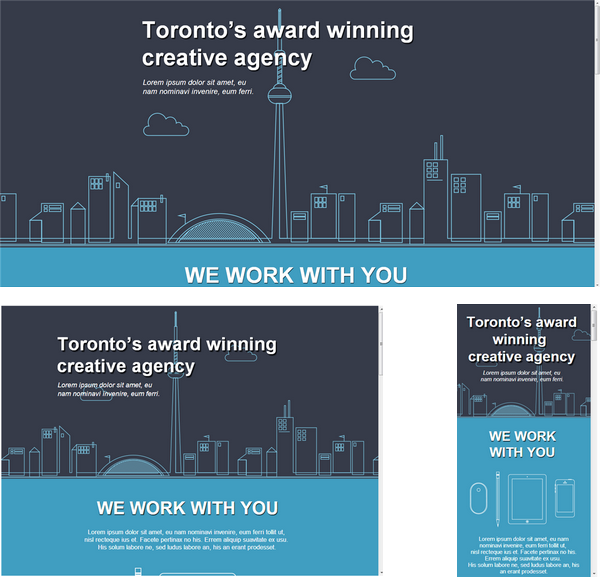 Each media query is generate from the PSD design using Responsive Screen Tags. Learn more about Creating Responsive Screens. Learn more about Layer Support. With Export Kit you can align your page output and hide the content overflow to create both Flush and Fluid layouts. 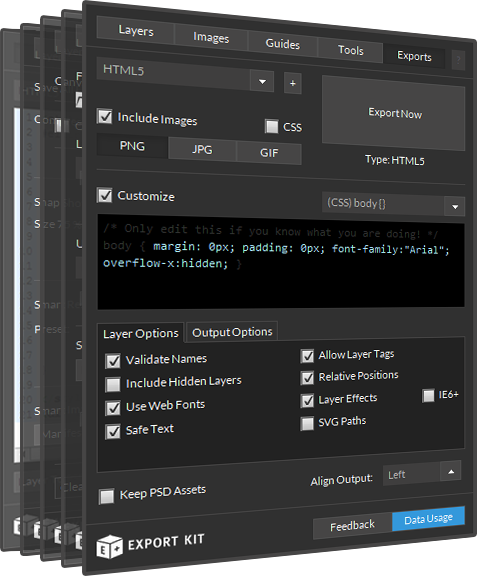 Learn more about using Align Output and Hide Overflow with your export. IMPORTANT: We recommend you enable Relative Positions and Responsive CSS to test this PSD.